The CONCACAF bidders for the World Cup in 2026 are eager to keep the momentum going and asked FIFA to fast track the decision to next year, two years ahead of schedule. 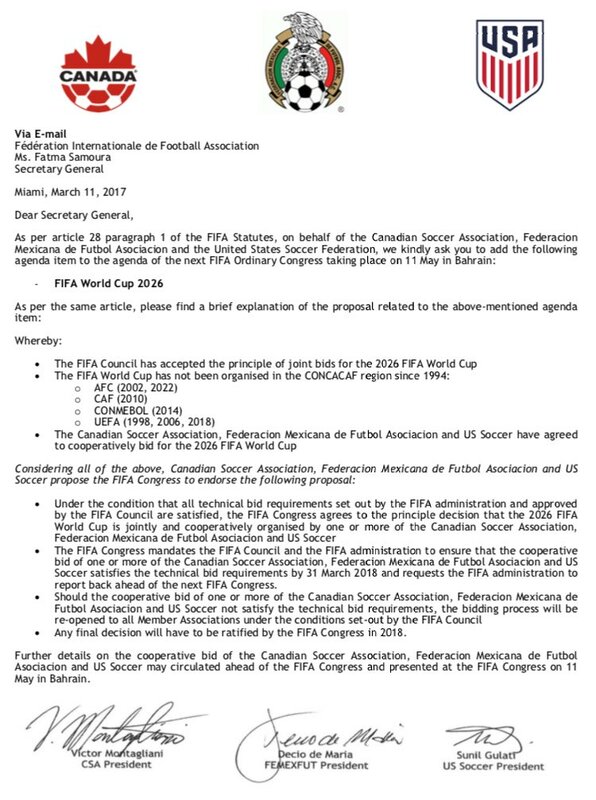 The Associated Press obtained a copy of a letter dated March 11 in which the soccer federations from Canada, Mexico and the U.S. asked FIFA to consider their request at the annual congress that will be held in Bahrain next month. To make things go faster and more efficiently, the letter asks for FIFA to agree to an exclusivity by not considering other bids should the joint bid meet all of FIFA’s technical specifications. 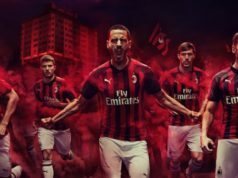 This strategy may work given the lack of other bids presently being considered and the difficulty for other potential host countries to compete with the North American trio. Europe and Asia unable to bid, past experience and longest wait since last world cup in USA 1994 are all factors benefitting CONCACAF. Why waste time considering other bids just for the sake of going through the motions? The other thing to consider is the expansion to 48 teams and the logistics to coordinate the event. The extra two years would be beneficial to avoid any delays in stadium construction and logistic planning. Lastly, given that Argentina and Uruguay will most likely get to host the 2030 World Cup (to mark the 100 year anniversary of the first world cup in 1930), it would make sense to have North America host 2026 and South America in 2030.